Last week we showed you what the DMV ‘Fighters’ look like on the battlefield. Now they’re back with a long-distance fuel service from the Far North to the Far East of Bulgaria and we have the pictures. 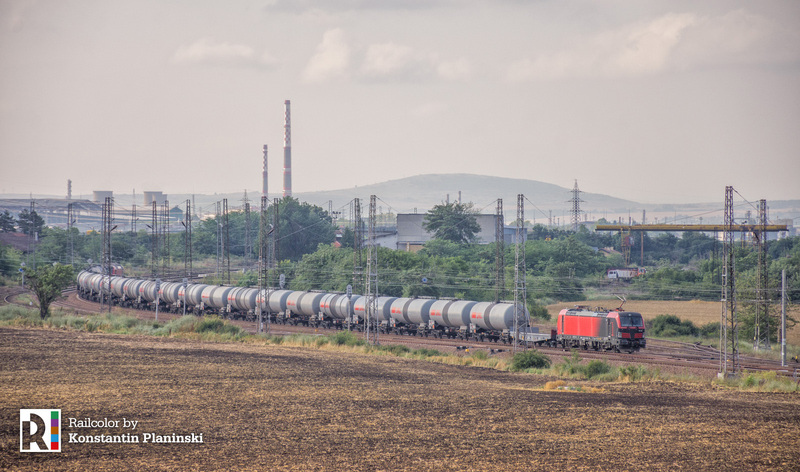 The red-black Vectrons had to travel a total of 502 km overnight between the city of Vratsa and the Lukoil Neftochim petrol refinery near Burgas. The train? 24 empty diesel fuel tanks. Vectron 81 972 (193 972) was in the front with 80 961 (192 961) pushing in the back.